Oath of Honor (2018) by Lynette Eason is the first book in the Blue Justice series. Oath of Honor recently released this past Tuesday, January 2, and can be purchased wherever books are sold. This novel is available in all forms including eBook, and is 362 pages in length. With a full-time job and a busy five-year old at home, this book took me three days to read. I received a review copy of this novel in paperback form from Revell Books. In no way has this influenced my review. The opinions expressed in this review are my own. I give this book 5 STARS. Oath of Honor is a Christian Romantic Suspense novel. This book is SO good, I could not put it down. From the very first chapter right up until the end there is NON-STOP action. Oath of Honor is an example of my most favorite kind of mystery novel — the kind that keeps me guessing every step of the way, and catches my breath time and time again. Seriously, there were moments I gasped out loud, and a few times I actually yelled at the book because I could not believe what was happening. I love when I interact with a book like that. It is so much fun! The main characters, Izzy and Ryan, and very well written. They are both determined, hard-working, and strong police officers who clearly fight for right and do it by the book. They have true integrity, and they clearly respect and honor what it means to be a police officer. Both love the Lord, and they often rely on Him to help them through their case. One aspect that I really loved about this book is how Izzy and Ryan talked to God. The last few suspense novels that I have read followed a clear pattern: the main character has just come out of a bad situation, can’t understand how a loving God could allow it, and decided to no longer be on speaking terms with God. But, over the course of the story, realizes that having God on his/her side is better than the alternative. They have a “come back to God” moment and everything in the story falls into place. I’ve actually read this pattern so many times lately that I took a break from suspense altogether to get away from the cliche. What I really like about Oath of Honor is that the characters have a real relationship with God from the beginning of the book until the end. They talk to God as if He is there with them at their crime scenes, while they are following a lead, stressing and fearing over the events of their day, and when they are fighting for their lives. Izzy and Ryan’s interactions with God doesn’t feel forced or faked. It feels like this is just how they live their day-to-day lives no matter that bullets are flying, bad guys are running, or buildings are exploding. God is a natural part of their lives. It may be a small thing to have noticed, but I really liked that about this book. It made Izzy and Ryan’s integrity as cops all the more believable. I also really appreciated the family feel to this book. Izzy has a lot of siblings, and all but one is a cop. Her mother is the Chief of Police and her father is an attorney. They definitely have a Blue Bloods vibe happening. The current mayor and his family are close family friends with Izzy and her family, and Ryan’s family are next-door neighbors and have been since before Izzy was born. 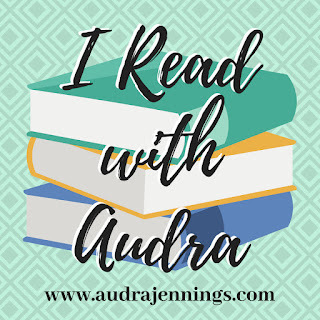 There is a lot of family connection in this book that feels authentic. These people love each other, and when one is hurt they all hurt together. I really appreciated this sense of solidarity. Overall, I thought this story an excellent ride! I was thoroughly engaged the entire time. The story is fast-paced and action filled, and the romance is subtle but sweet. I was rooting for Izzy and Ryan the entire time! I highly recommend this novel. 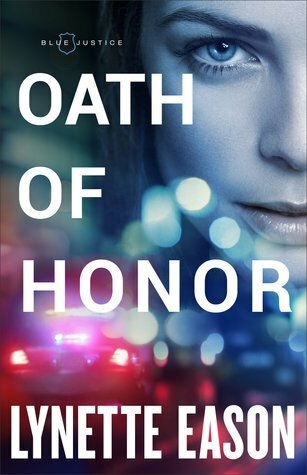 If you are looking for an edge-of-your-seat experience with twists and turns at every chapter then Oath of Honor is the book for you. Buy a copy today. You will not be disappointed. I am giving away ONE (1) paperback copy of Oath of Honor published by Revell Books. The giveaway begins today, 1-7-18 at 5:00 am (PST) and ends on Thursday, 1-11-18 at 12:00 pm (PST). To enter, click on the Rafflecopter link below. Good luck! Congratulations Darlene O. You have won this giveaway!!! Thank you for your participation. Wow great review! I’ve got to read this book! This is one I want to read! Great review and another book high on my wants list! Love Lynette Easton’s books! I haven’t read ont that’s not awesome! Thank you much! Appreciate your review and your giveaway! Thank you! Blessings to you, too. This book sounds really good—love a good suspense! It’s definitely going on the list. Thanks for your review and the chance to win a copy.